Star of David goes on with 2-sided tape. You do not need to put it on the casket and it looks fine without it. 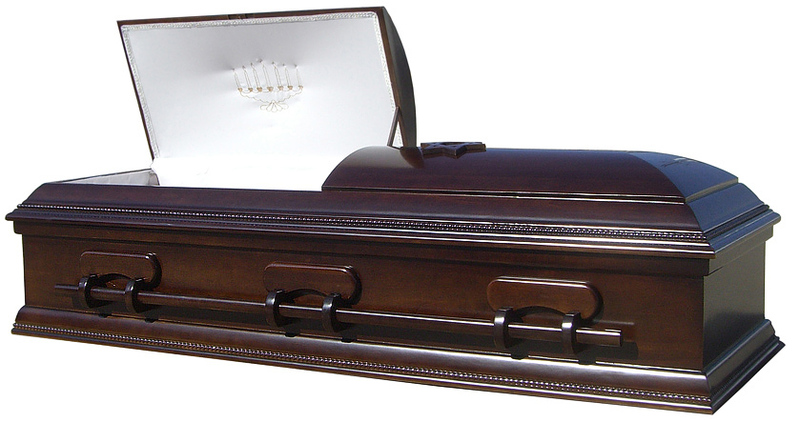 Exterior width of casket: 30"